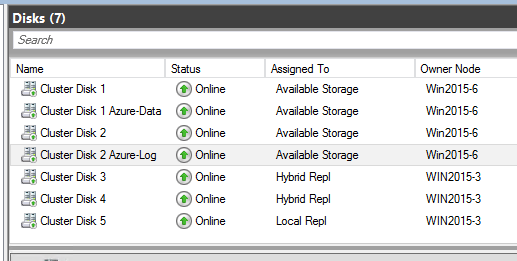 As in my previous blog post I named Storage Replication and Storage Spaces Shared nothing. This item is all about Storage Replication. 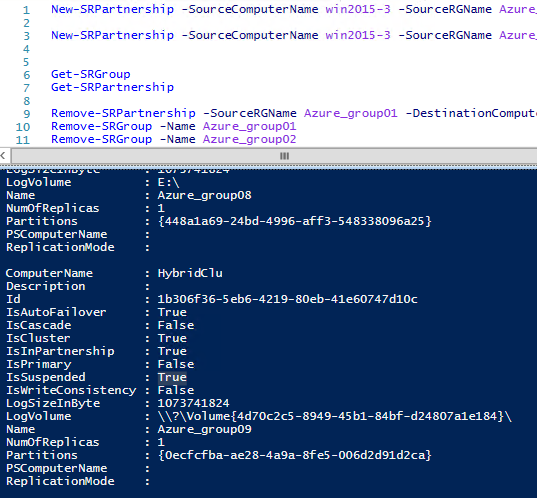 As there are many blog post all about this item I will show you not the easy part but a Hybrid Replication to Azure. As machines are getting faster in Azure I guess this will do for my Storage Replication. 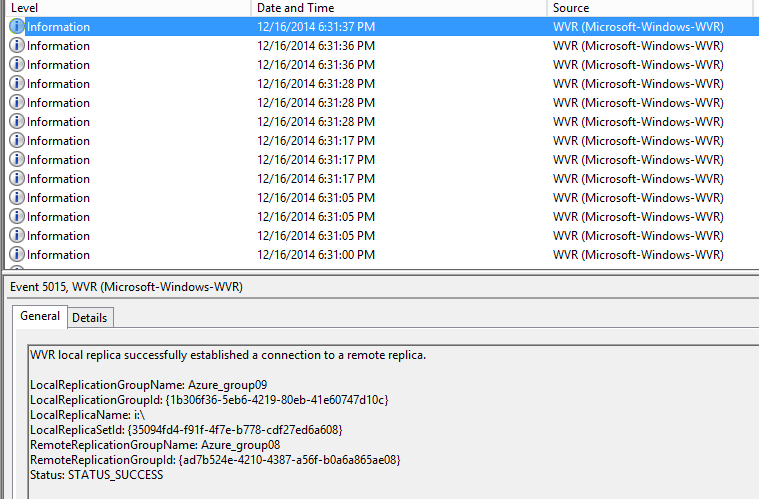 see the Windows Server Technical Preview Step-by-Step Guide for Storage Replica. Disaster Recovery (DR) refers to a contingency plan for recovering from site catastrophes so that the business continues to operate. Data DR means multiple copies of production data in a separate physical location. For example, a stretch cluster, where half the nodes are in one site and half are in another. 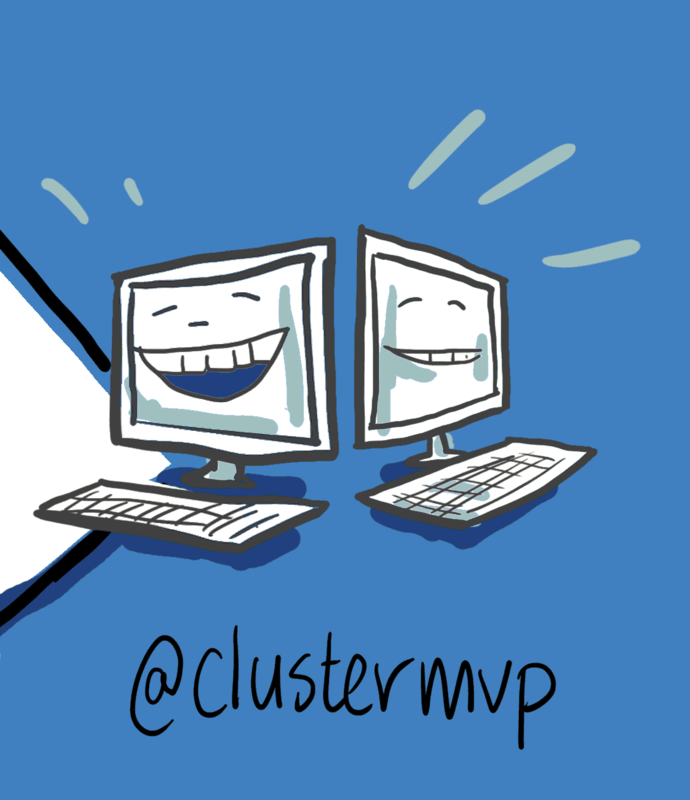 When using synchronous replication this is also known as a metro-cluster; when using asynchronous replication, it is often referred to as a geo-cluster. Service level agreements (SLAs) define the availability of a business’ applications and their tolerance of down time and data loss during planned and unplanned outages. Recovery Time Objective (RTO) defines how long the business can tolerate total inaccessibility of data. Recovery Point Objective (RPO) defines how much data the business can afford to lose. 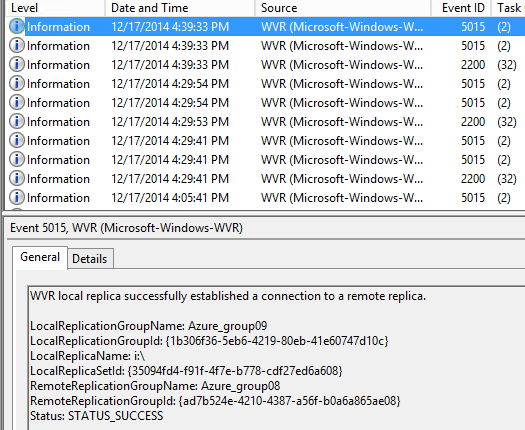 The Microsoft implementation of asynchronous replication is different than most. 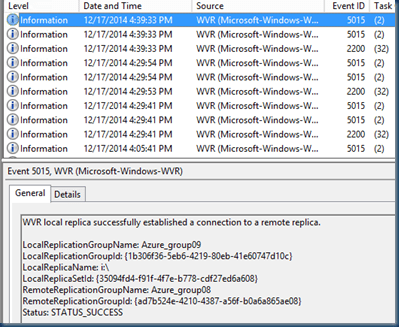 You will find many instances of the terms “WVR” or “Windows Volume Replication” in the Windows Server Technical Preview. Appropriate firewall and router rules to allow ICMP, SMB (port 445) and WS-MAN (port 5985) bi-directional traffic between all cluster nodes. So testing the the Line holds : But I know I’m in trouble with this. 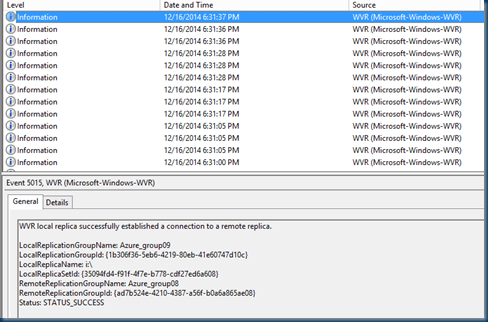 To test If the Disk Holds use DISKSPD or copy a large file to generate some write load on the source server volume. IOPS are important but latency is a true indicator of application performance. 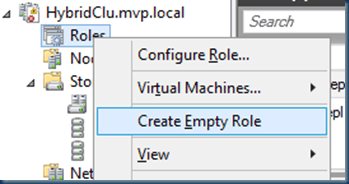 To install All the options that are needed in the cluster you can use PowerShell or do this by hand in the GUI. And Several Disks to my on-premises Cluster nodes all small disk as I just want to test this and all is just as an Sample. There are several options in the Configuration As shown in the Guides see the Windows Server Technical Preview Step-by-Step Guide for Storage Replica. 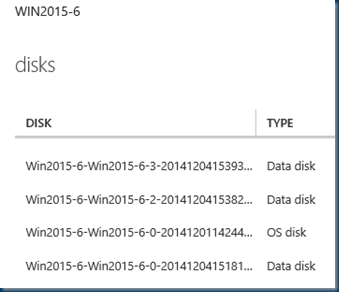 I build a Storage Pool off 3 disks and created here 2 disk on with the Exact same Size. A serious problem has been identified with the contents of the disk partitioning layout resulting from a missing Microsoft Reserved (MSR) partition. WVR requires that the disk have an MSR partition prior to the creation of the WVR partition database. 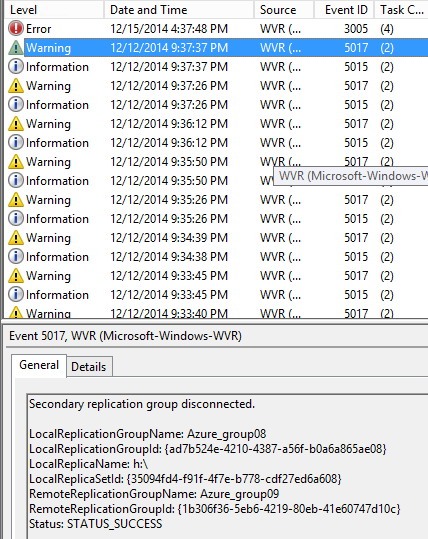 Without the MSR partition, WVR cannot create the WVR partition database which prevents the disk, or any of the partitions or volumes contained by the disk, being involved in replication. To correct the problem, the MSR partition must be created on the disk. This is typically achieved by (re-)initializing the disk. Note that initializing the disk will involve the destruction of all the contained partitions and volumes on that disk. To use the disk for WVR, the disk must have been initialized with the GPT (GUID Partition Table) layout. 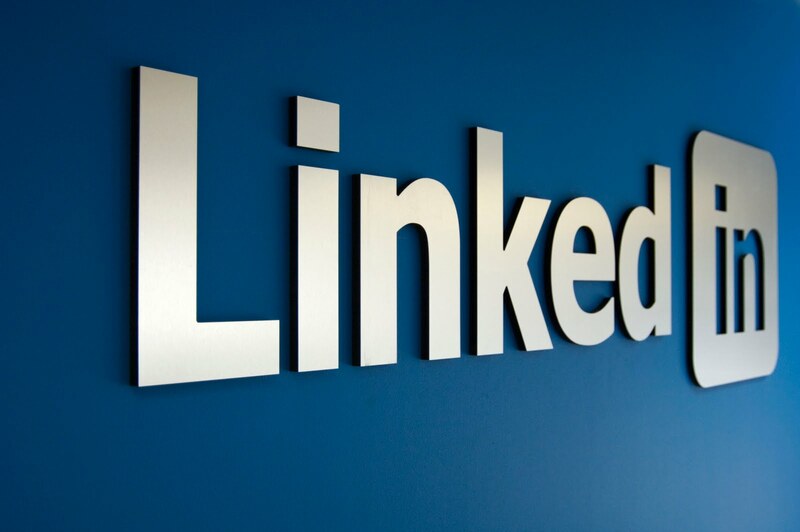 Once this has been done, the required partitions and volumes can be created, and the partitions and/or volumes can be provisioned for replication as normal. 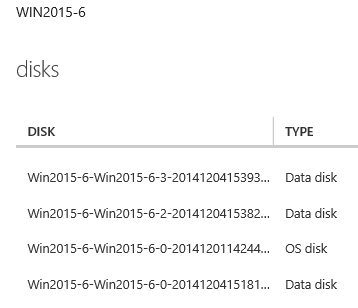 So I created 4 disk with the exact same size and GPT and MSR this should do the Trick. In my case I use only 3GB disks as this is the minimal specs for most things. Now the easy part just run one-liner in PowerShell you can do this in the GUI but this is not the best method now in the Technical Preview. If you want to change the Logsize “ LogSizeInBytes 2gb “ then you have to rebuild the Replica there is currently no option for that. Last Part is the Removal of the Replica , It make sense that in the Cluster Failover manager you can delete the replica but If you do this the replica is not totally removed this is a bug. 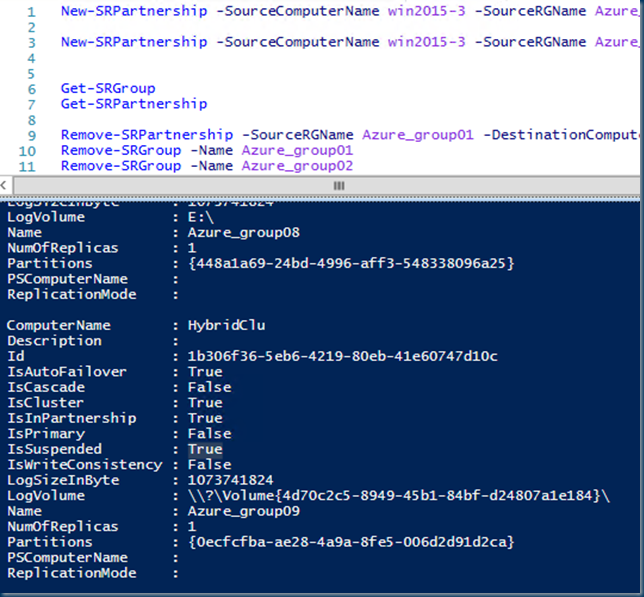 so best to remove the replica is by PowerShell. Removing the Replica will give the disk the status Available Storage. 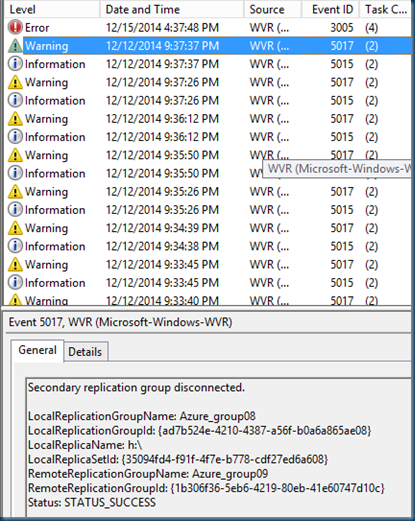 As I meshed up my other Replication on deleting this in the Cluster Failover Manager GUI, This is hard To fix and you have to go deep to fix this. Diskpart is you best friend on this.